Whether you are wanting to browse designs for wedding invitations, order custom cups and napkins for an upcoming celebration, or customize stationery, The Inviting Place is here to guide you in the right direction. Make an appointment below using our scheduling tool, call 918.488.0525, or email [email protected] to get started working with a design consultant today! 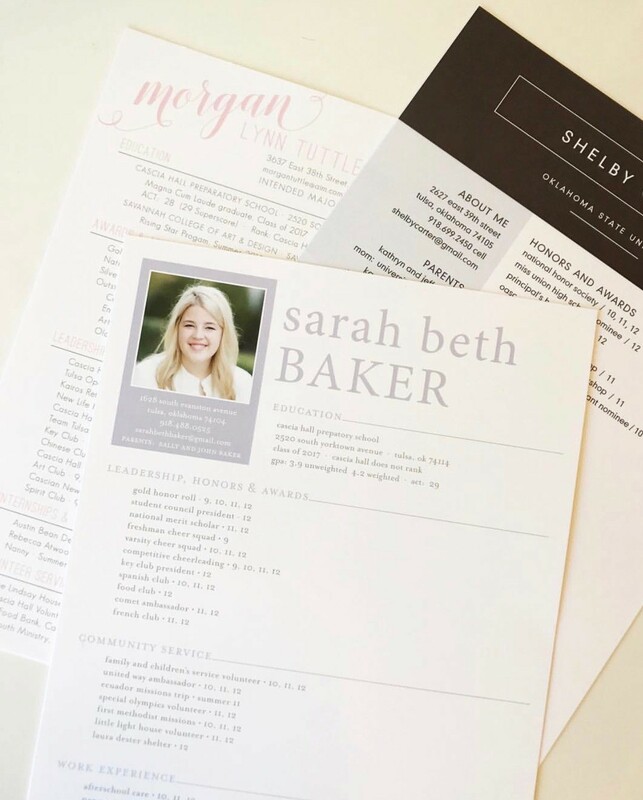 Stand out during sorority recruitment with a custom resume that showcases your personality. Add colored envelopes, sorority house address stickers, and stationery to make your resume package truly one of a kind. Provide us with your high school awards and extra curricular activities and receive a personalized package that fits your recruitment needs, no matter what school you plan on attending.